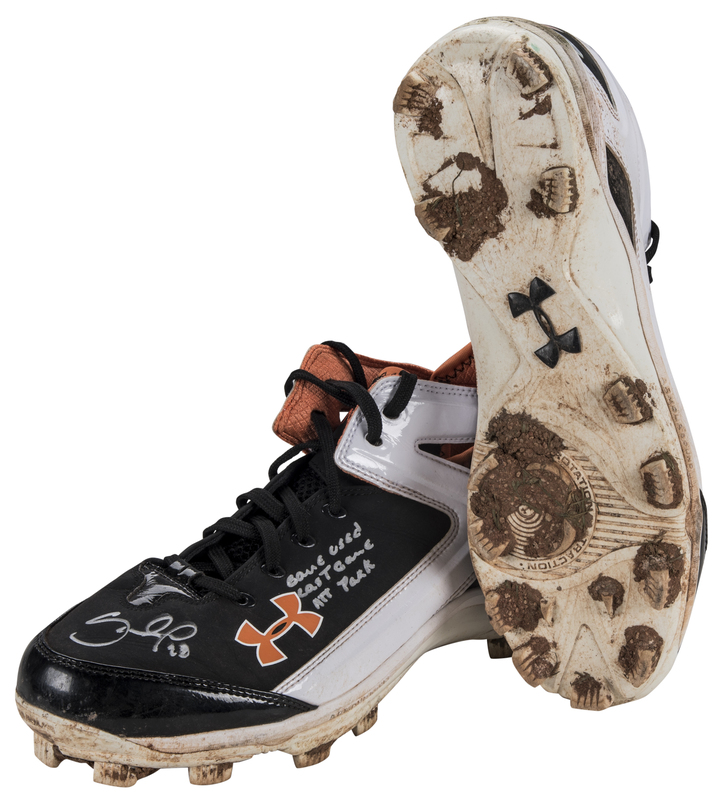 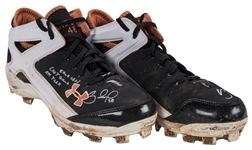 San Francisco Giants third baseman Pablo Sandoval wore these black, white, and orange Under Armour cleats during Game 5 of the 2014 World Series. Game 5, the final game of the series played at AT&T Park, finished 5-0 in favor of the home team. 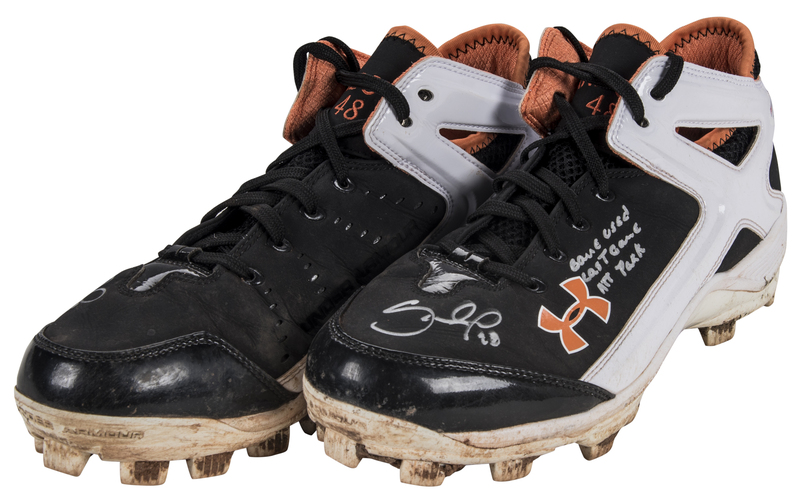 Sandoval went 2-4 in this contest, scoring two runs to give Giants ace Madison Bumgarner plenty of cushion in his dominating complete game shutout. 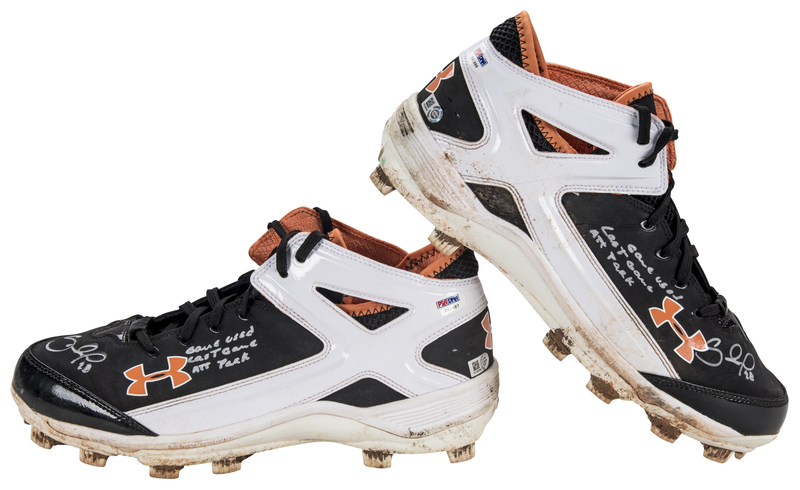 Sandoval hit .429 in this World Series, the third successful Fall Classic for the Giants since 2010. 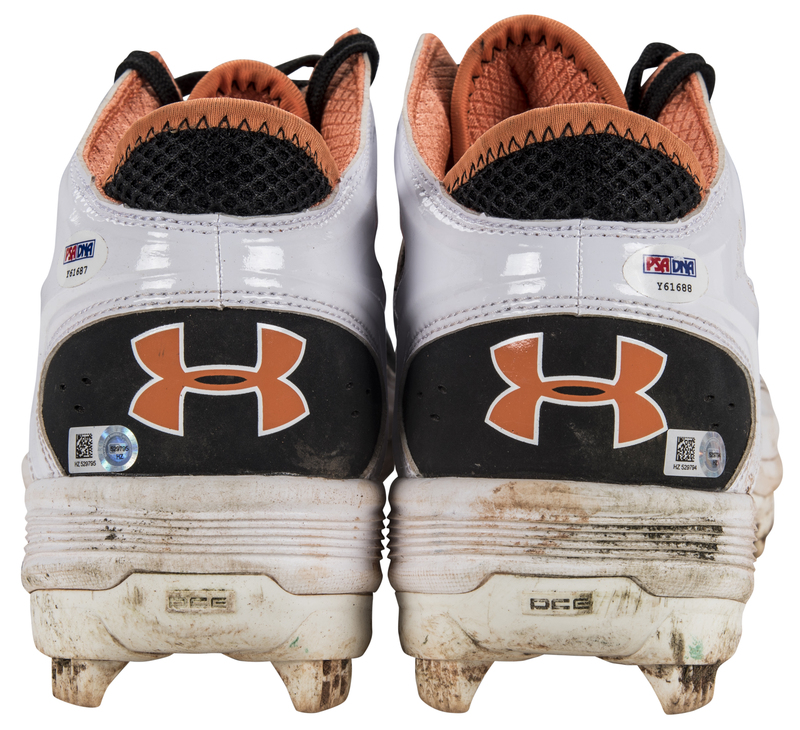 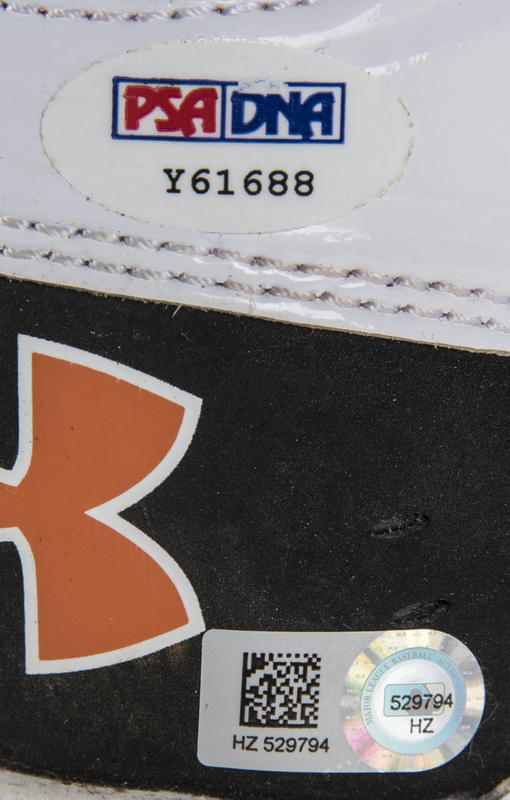 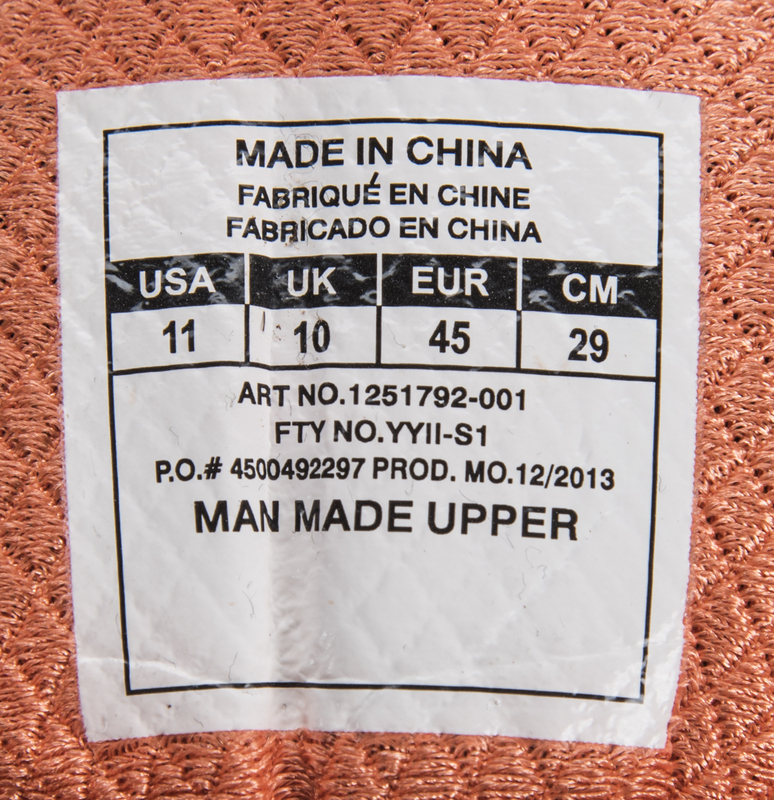 These size 11 cleats are black and white, with orange accents and orange and white Under Armour logos applied to the outside of each foot and heel. 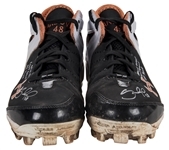 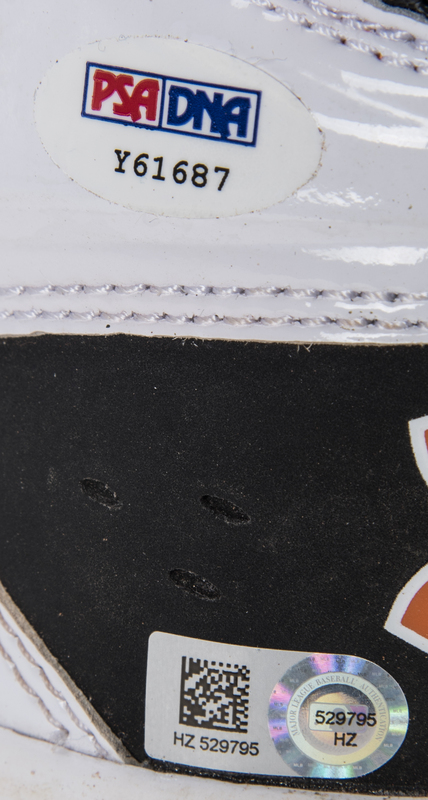 “SANDOVAL 48” is embroidered in orange on each tongue and 13 plastic cleats are located on the sole of each shoe. Sandoval has signed the toe of each shoe in silver marker and inscribed “Game Used Last Game ATT Park” on each cleat. These cleats come with a MLB Authenticated hologram (HZ 529794, HZ 529795) and two COAs from PSA/DNA (Y61687, Y61688).